As you and a loved one prepares to downsize to an independent living home, it is natural to feel anxious. 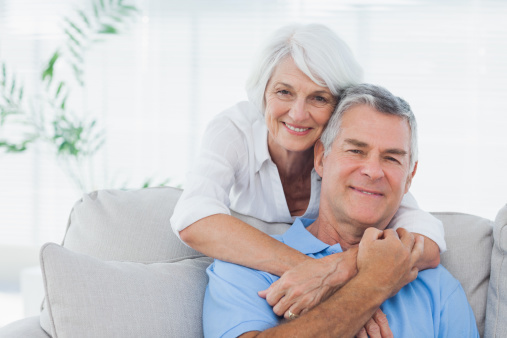 Moving into a retirement community can be a big change and there are numerous different considerations that have to be made. One thing that shouldn't be a concern, though, is falsehoods about independent living that have become entrenched in the public consciousness. Whether brought about by television shows and movies or anecdotes spread online, it is important to know what parts of retirement living may just be urban myth. One of the regrettably common depictions of a retirement home is that it is as a depressing, gray place with little interaction. This is, to be direct, counterintuitive at best. Independent living communities thrive on promoting socializing and active, healthy lifestyles. You can learn the truth for yourself by simply taking a tour of a home and talking to both residents and staff members. The fear of having to give up a beloved companion can make someone balk at moving to a retirement community. Fortunately, this is rarely the case. While some facilities may restrict or prohibit pets, this is more on a site-by-site basis rather than a universally-applied trait. In most senior communities, pets are quite welcome, although some, like dogs, may have restrictions on size. Some locations even have community pets that can offer companionship to all residents. The idea that these communities mean a loss of independence is a regrettable stereotype brought about mostly by media depictions and a misunderstanding of the difference between various forms of senior living options. The best way to think of independent living is as a community that offers certain maintenance and housekeeping services. Residents face no restrictions on their activities or movements and are free to come and go at their leisure. They can eat out, go for walks, take a bus to the movies, drive to the mall or any number of countless other options available to anyone living in a single household. Some independent living communities even offer meeting spaces or other group locations and guest rooms for those wishing to entertain or host visitors and parties. The exact affordability differences will naturally depend on the specific independent living community you're considering and the specifics of your current home. In general, however, an honest comparison will show that the community wins out. The costs associated with home ownership include mortgages, taxes, groceries, and utilities, with repairs and maintenance potentially increasing the price. An independent living community charges a fixed, monthly rate that—unlike many home costs—is consistent and doesn't fluctuate. If you have a specific independent living community in mind, ask for a price breakdown and compare it to your current bills to get a better idea of how things match up.